One of the best ways to prepare your home for cold weather is to add extra attic insulation. Attic insulation is responsible for sealing gaps and cracks that allow unwanted cold air to enter your attic. It acts as a thick blanket to keep heated air inside of your home, which helps you save money on utility bills. 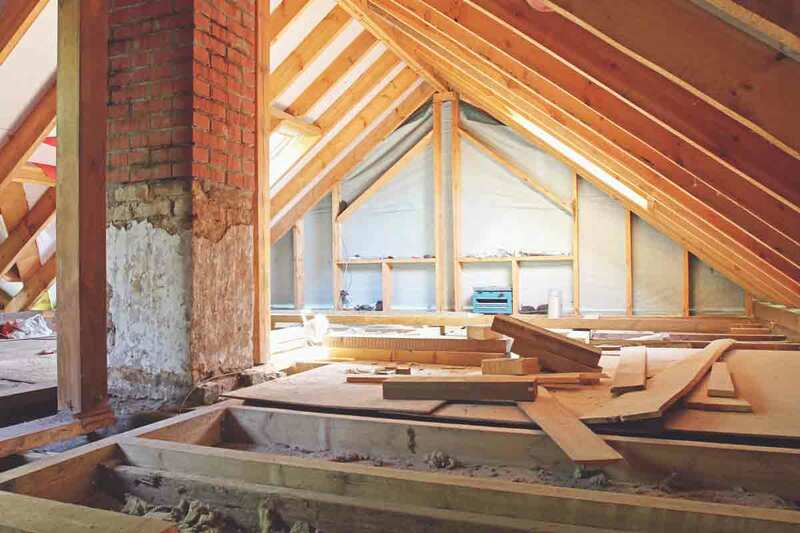 You’ll want to upgrade your attic insulation to around an R-40 level. Before snow lands on your rooftop, it’s important to give it a once-over to look for any missing shingles. Missing shingles on your roof can spell trouble this winter, as it can allow moisture to eventually reach your roof deck. This moisture can turn into water damage, which will worsen over winter. The last thing you want is the surprise of rotting wood beams when you explore your roof in the spring time. • Once again, be sure that your attic is properly insulated. Proper attic insulation can have a direct effect on the formation of ice dams. • Close up your attic bypass, which will prevent air leakage. • Caulk and seal around electric cables and vents. • Be sure that your gutters remain unclogged. Gutters can easily make your roof much more inefficient. When gutters become clogged during the cold months, ice can begin to form. Icicles are trouble enough, but ice dams can ultimately drain your bank account. 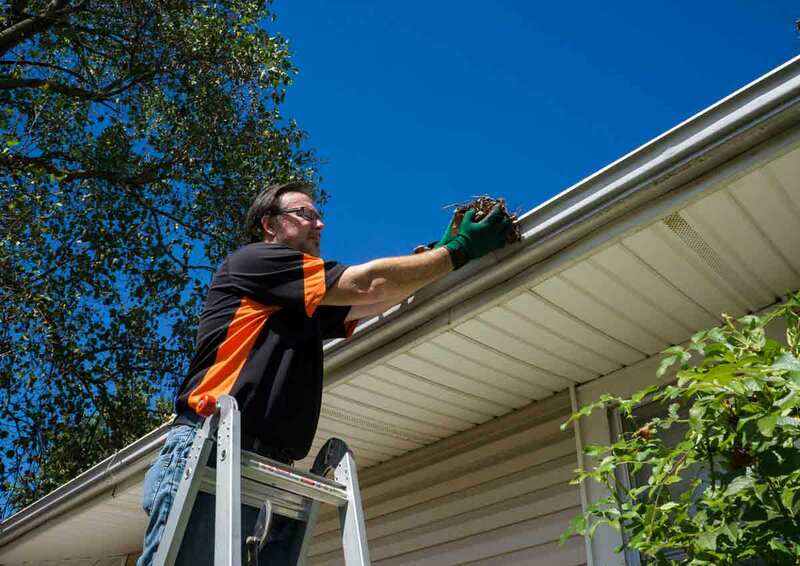 Cleaning your gutters out during the fall is essential to making sure they stay intact. Otherwise, ice dams or wet, heavy snow can rip your gutter system right off your roof. Preparing your roof now for fall and winter will keep you steps ahead of costly repair bills. If your roof is in bad shape or you’re worried about gutter clogs, Universal Windows Direct of Indianapolis can help see your home through some of the worst weather.